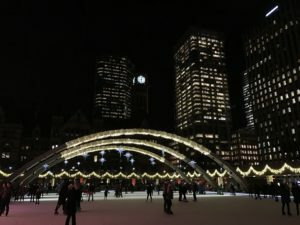 From drag shows to ice skating to a good ole’ picnic on the Islands, spend your birthday in a unique way as only one can do so in Toronto. Cowboy cuisine meets country music at this western themed setting in Leslieville. With live country music, pub grub and drinks, Boots N Bourbon Saloon is a unique bar just waiting to host your birthday celebration. Throw on a cowboy hat and grab your boots because your birthday hoedown is sure to be a hit at Boots N Bourbon. 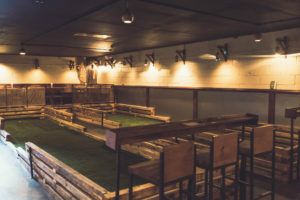 Round up a group of friends and head over to Track & Field, a lawns game inspired bar located in the heart of Little Italy, Toronto. Rent out a lane of bocce ball or shuffleboard and have some competitive fun. Don’t worry about the drinks. With cocktails on tap and an extensive selection of beer, wine and bubbly you’ll be in high spirits all throughout your birthday evening. A hidden gem in the city of Toronto, this almost secretive underground venue is known for it’s community orientated arts and performance space. If you’re a fan of live music, you will love Junction City Music Hall. Not only do they have the best performers bringing their all to the stage, but they also have a fantastic selection of premium cocktails and craft beers. Movie night has a whole new meaning at District 28. Rent our their luxurious screening room, equipped with top of the line zero gravity seats and a 4K Ultra HD projector for your birthday bash. 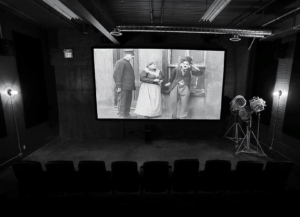 Screen your favourite movie in style surrounded by 30 of your closest friends. Toronto’s #1 drag bar is a sure promise that your birthday celebration will be unforgettable. An Iconic stop, Crews & Tangos is more than prepared to host your event. With an in-house party planner, all your birthday needs will be taken care of. All you need to do is show up and enjoy the show. Unleash your inner Katniss Everdeen or Oliver Queen at this archery arena, located in Scarborough. 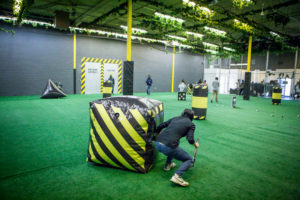 The Archery District combines paint-balling, archery and competitive team based concepts to create an unparalleled experience. Celebrate your birthday with friends and family, shooting and dodging arrows with adrenaline pumping through your body. A place for decent laughs and great drinks, the Comedy Bar is a good way to spend your birthday. Experience the best improv, stand up and sketch comedy Toronto has to offer. Open seven nights a week and committed to providing affordable live comedy, the Comedy Bar is located in the heart of Downtown Toronto. If you’re lucky enough to have your birthday during the summer, a picnic on the Islands would be a great way to celebrate with friends and family. 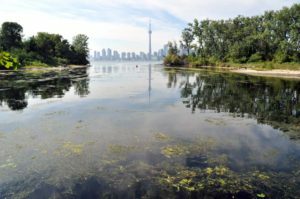 Pack a picnic basket or take a charcoal BBQ and ferry over to the Islands to enjoy a warm day and beautiful view of the Toronto skyline. Be sure to obtain a permit from The City of Toronto if your group is over 25 people. Why not try something new and exciting on your birthday, like Ethiopian cuisine? Round up a group of your closest friends and introduce them to a world of fiery flavours at Nazareth, a bar known best for it’s unique Ethiopian dishes. With great value for money and an intimate atmosphere, its no wonder Nazareth is always packed with people. If your birthday is in the cold months of Winter, never fear. Toronto has you covered. Ice skating is an enjoyable and magical way to spend your birthday. Rent a pair of skates and take a group of friends to Nathan Phillips Square where you can ice skate till your heart’s content.